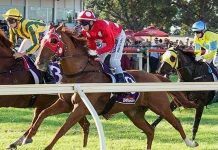 How can you gain an advantage at Canterbury? Canterbury racetrack is one of the youngest by Australian standards. The Sydney Turf Club (STC) was founded in 1943 before merging with the Australian Jockey Club (AJC) to form the Australian Turf Club (ATC) in 2011. Canterbury is known for having a few unique characteristics. The track itself is smaller and tighter than many others in Australia, and the surface is arguably one of the very best in the country. Canterbury is home to many mid-week racing events and is also famous for night race meetings. The club puts together nights that are not only focused on racing but also entertainment for the many punters who flock there. 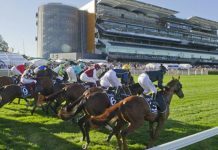 These days most of the major racing takes place at Royal Randwick or Rosehill, however, Canterbury still boasts the Canterbury Classic over 1200m in January. In terms of the jockeys that are performing well over the last 12 months, Hugh Bowman is winning at 28% from 59 starts. Blake Shinn isn’t far behind, sitting at a very respectable 22% from 117 starts. 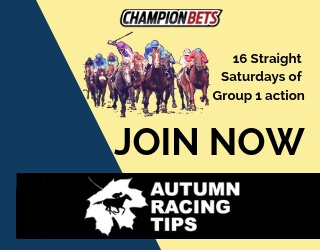 From the trainers it’s Gai Waterhouse & Adrian Bott who are leading the way with a winning strike rate of 26% in the last 12 months from 73 starts. Brad Widdup has a 27% strike rate for winners, although it’s only from the 22 starts. Mark Rhoden is our NSW racing guru who regularly bets into the tight track at Canterbury. He’s coming off a profitable summer of betting at the venue so we asked him where he thought everyday punters could find an edge. 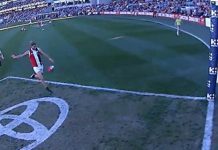 Are there any nuances to Canterbury that you notice in your analysis? Canterbury is a tighter track than most other metropolitan tracks, so it can be harder to make ground. In previous years, wet tracks tended to lead to winners getting out wider on the track, but that not been the case in recent times. Canterbury is the home of night racing in Sydney. How do conditions at night change the way the track plays? To be honest, I’m not sure it makes a huge difference – the track condition and rail position are more important. In the early days of night racing, theories abounded about horses “not wanting to run into the shadows”, but I haven’t noticed on-pacers being any more advantaged at night than during the day. 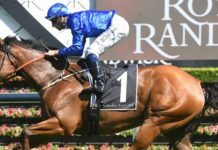 How does the Canterbury surface differ to other NSW tracks and does it benefit certain runners? It’s a tremendous wet-weather surface – unless it rains during the meeting, or there has been prolonged cold and wet weather, it rarely gets very heavy, and it also drains and recovers very quickly. So a horse that excels on a bottomless track would be better placed at a wet Randwick than a wet Canterbury, for instance. On pacers, and of late rails-in-run horses, even on softer tracks. Are there any jockeys or trainers that you really like at Canterbury and why? No, but it is the sort of track where an unfashionable apprentice can get on a leader and get away with a race at big odds – so certainly not put off by the lesser lights if the map is right. 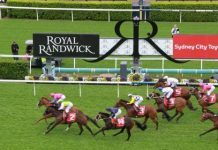 Randwick and Rosehill handle most of the big races in NSW. Is there a time of year when Canterbury offers some good betting opportunities? Canterbury plays pretty consistently so is always worth betting on. 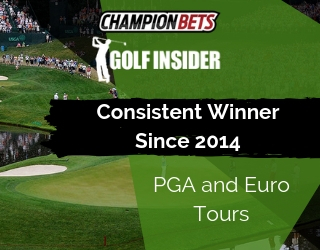 The summer night season was profitable for me last year but always happy to bet there. What tips would you give for your average punter betting at Canterbury? It’s a good track to bet on and if you can get your map right, you’ve got a great head start.